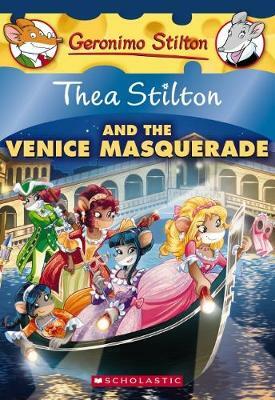 The Thea Sisters are headed to Venice, Italy! They'll be there for the Carnival, an annual festival that's famouse for its elaborate masks. They mouselets love exploring the city's bridges and canals, and seeing the beautiful costumes mice wear to Carnival celebrations. But a mysterious thief strikes while they are there! Can they catch and unmask him before the festival ends?